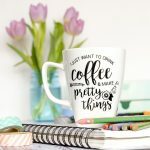 Even though I don’t have any school-aged kiddos, I still feel like fall is a time to get back into a daily routine and try to get a little more organized after the slower pace of summertime. 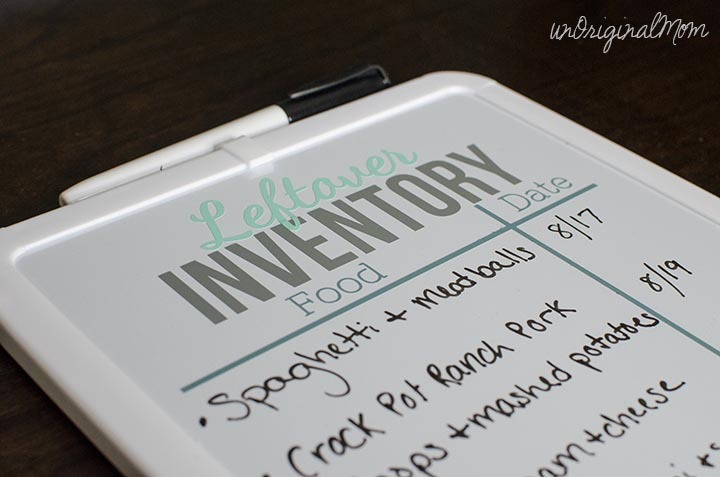 I’ve got a quick and easy project for you today that will do just that – help you get a little more organized! And every little bit helps, right? The problem: leftovers getting lost in the back of the fridge. We use post-it tape to label all of our leftovers with the date so there’s no need to play the “sniff-to-estimate-just-how-old-this-is” game, but we still end up forgetting about things until they’re too far gone. Especially because my husband often comes home for lunch, we both could be better about eating up leftovers at lunch time…but many times, we’re too rushed to dig through the fridge and end up just making a sandwich or heating up a frozen pizza instead. 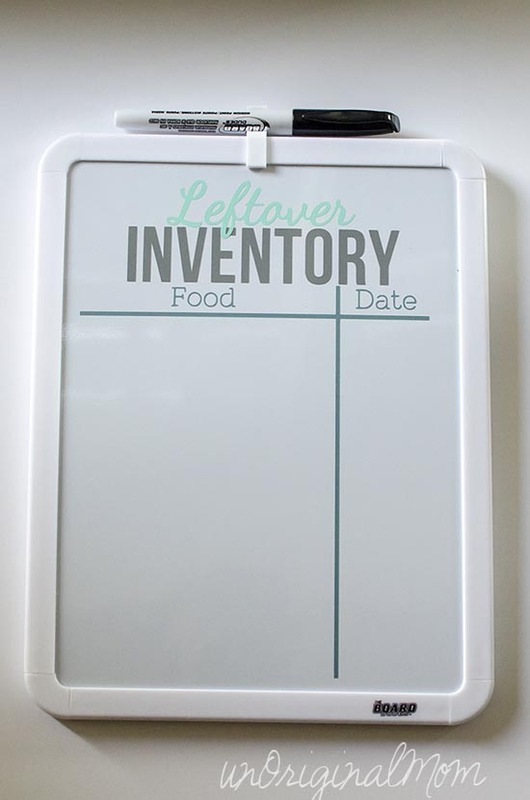 The solution: a “leftover inventory” board to help keep track of what’s in the fridge! 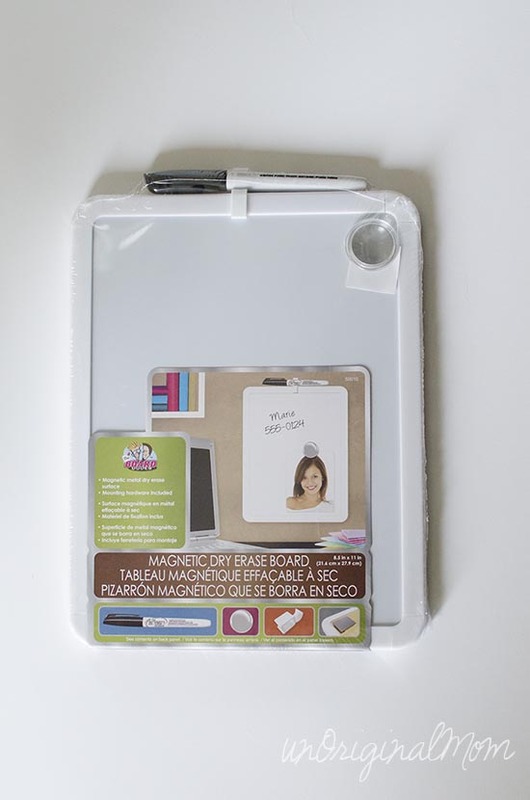 It was so simple to make – I started with a plain rectangular white board. 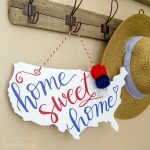 Then I designed my lettering in Silhouette Studio, cut it out of vinyl with my Silhouette Portrait, and used transfer tape to adhere the vinyl to a plain old white board. 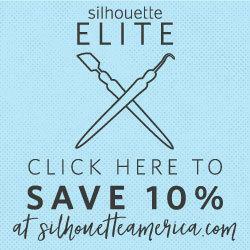 Want the free cut file to use yourself? You can download it HERE! Fine print: This design is for personal use only. I’d love for you to follow me via Facebook, Pinterest, orTwitter in exchange for the download…of course, it’s not mandatory, but very much appreciated! 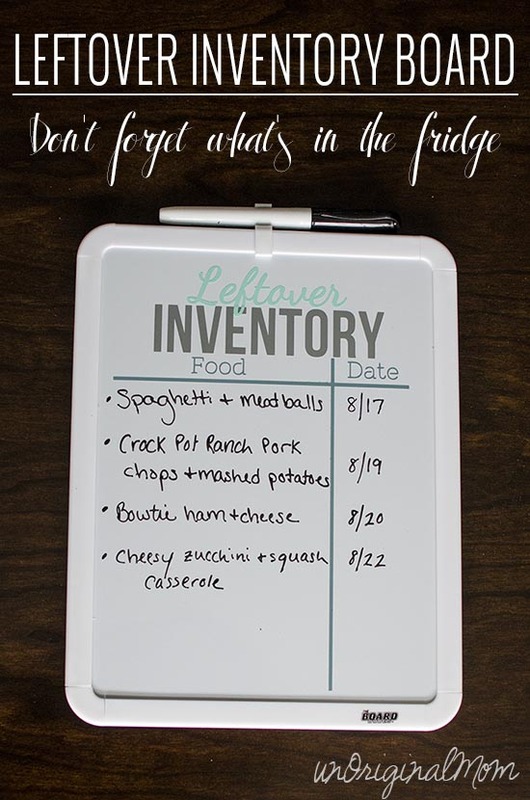 Now it’s on the side of our fridge – super easy to write a note when we put some leftovers away, or erase it once it’s finished or gone bad. 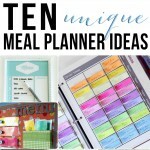 And it’s all in one place to glance at when we are trying to answer the “what is there for lunch?” question! 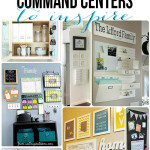 What’s something you’ve implemented in your house that has helped to make life just a bit more organized?